CareCredit® helps you spread out the cost of your pet’s care over time. Offered through Synchrony Bank, CareCredit® knows that pets are family too. That’s why they offer veterinary financing to help keep your most cherished family members in top shape. Whether you use it to cover annual expenses like preventative care check-ups or for unexpected costs like pet prescriptions and house calls, the CareCredit® healthcare credit card makes it easy to give your pets the care they need, when they need it. CareCredit® offers veterinary credit lines in the form of interest free financing options, for either a period of six or twelve months in relation to the client’s total for services (dependent on credit approval). At Town ‘N’ Country Animal Hospital our staff is trained to help assist you in applying for this service via written application in our office, at any time. You can also explore this option from the comfort of your home or even apply online by visiting the CareCredit website. Approval is fast and you can even get approved prior to your pet’s procedure! Pet insurance is essentially health insurance for your pet, but there are a few differences. The most important is that there are no copays with pet insurance. Clients pay their veterinarian directly and later submit a claim for reimbursement from their insurance provider. The company then reviews the claim and reimburses the client for the agreed percentage of the bill for items covered by their policy. Usually, all that is needed is an itemized receipt from the veterinarian. Pet insurance can be tailored to fit the individual’s budget and needs, and premiums vary widely depending on your pet’s age, species, and breed. If your pet is signed up while young, there are more options available to choose from. Each breed is different and has its own predispositions and abnormalities that could threaten its health over the course of a lifetime. Consider any health risks associated with your pet’s particular breed. You may find the benefits outweigh the cost of their monthly premium. Petly® provides a way to pay set affordable monthly payments for your pet’s necessary preventative healthcare services. Families who enroll in Petly® plans at Town N Country receive discounted rates for many services provided at Town N Country. There are several types of Petly® plans, but all of them include necessary examinations, vaccines, laboratory tests and other services essential to protect your pet against illness and disease. These plans can also be upgraded to provide additional services like routine dental cleanings, radiographs, and more extensive blood work. 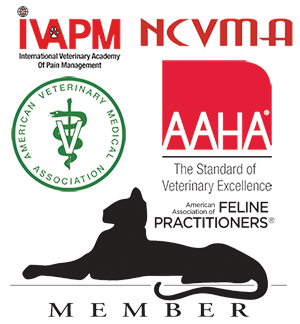 Our goal is to keep your pet healthy and happy during the prime years of their life. Initial membership fee includes multi-pet discounts, a boarding discount of 10%, five complimentary daycare sessions and five free nail trims. Your pet’s medical and nutritional needs change as their bodies age. A wellness plan can help to manage their evolving health care needs by monitoring vital organ function and detecting problems early, before they become life threatening. Petly® Health Care provides discounts on necessary preventative healthcare services. Petly® Health Care Plans are not insurance policies, and do not include sick or emergency care. However, Petly® can be used in conjunction with a traditional insurance policy and CareCredit®. Read about our Petly® plans here.